With over 100 exhibitors on land and 50 yachts on display in the Marina - plus a selection of superyachts berthed at nearby Koh Rang Noi - the Thailand Yacht Show & RendezVous will be the biggest and most adventurous event ever held in Phuket. And, with just 15 days to go, things are hotting up with new exhibitors and yachts confirmed every day and more and more activities and side-events planned. In the Marina we are very excited to welcome the Sunseeker Manhattan 66 (pictured above), which won the Motoryacht & Yachting Award for the best flybridge over 66ft earlier this year. 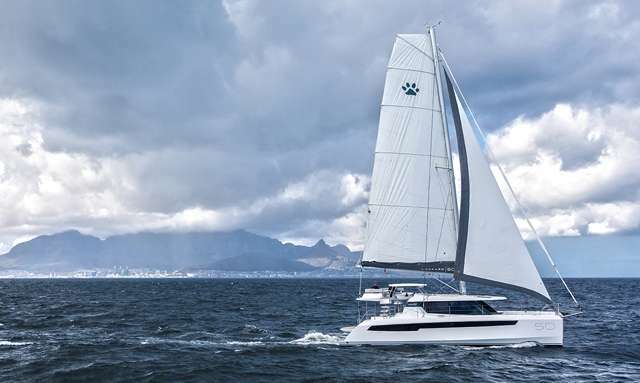 We are also delighted to announce that Leopard Catamarans and leading broker Multihull Solutions will also be bringing their latest models to the event. Check out our next newsletter for more information! On land, local chandlery retailers AME Marine will be selling equipment in the Exhibition Hall, joined by teak experts S.T.E.K. International and marine equipment innovators, Quick S.p.A. Potential buyers will not only have the chance to view the region's most desirable selection of sailboats and motoryachts, but will also discover the fun and glamour of the yachting lifestyle, with wine tastings, dinners and parties, as well as sea-trials on the boat of your dreams and interactive watersport activities. Make sure you save the date and don't miss out on four-days of yachting, entertainment and good old-fashioned family-friendly fun! See you in January 2019!